With the news of Double Dare’s imminent return, it should come as no surprise that tales of Marc Summers and company are creeping back into the mainstream. 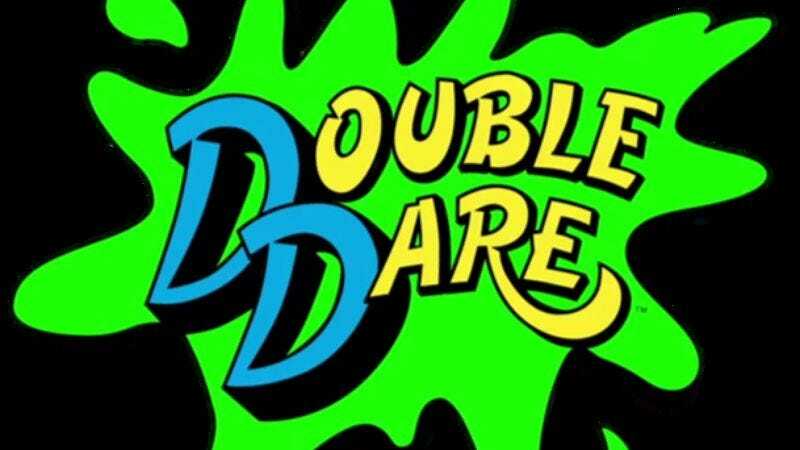 But, lest the nostalgia train seem too terrestrial, there’s a new Double Dare-themed Creepypasta story making the rounds on the ’net and on YouTube, and it’s positively eerie. Creepypasta, for those who don’t know, is basically the internet’s version of scary stories. It’s where things like Slender Man were birthed, and Creepypasta stories are big with teens and tweens, not unlike the way that Fear Street and Scary Stories To Tell In The Dark were big in the ’90s. Individual writers contribute their scary tales, and then they move and morph through the Creepypasta community. Some even end up on various Creepypasta YouTube channels, which is where we found this tale of Double Dare woe. In “The Episode Of Double Dare,” penned by UnsettlingStories.com—which, we should stress, is totally fictional—corporate giant Viacom decides to take advantage of open satellite channels to Eastern Europe in the late ’80s and early ’90s to send a special live episode of Double Dare to those trapped in Communist countries. As the story’s narrator, a Viacom satellite engineer, is overseeing the broadcast, something goes wrong, though, and four replicant humans are somehow sent all over the world, all while Marc Summers stands by, blankly watching. Something, as the narrator later implies, is wrong with Summers, and this is the story that Viacom never wanted you to know. It’s all extremely over-the-top and ridiculous, but you can see how gullible people and those interested in nostalgia lore could get sucked into the drama. There are actually two different versions of the story on YouTube, one—above—that’s adult-friendly, with at least one well-placed F-bomb, and one on a Creepypasta Jr. channel that’s slightly sanitized for younger ears. They’re both equally eerie, so listen somewhere well lit—and far away from Marc Summers.